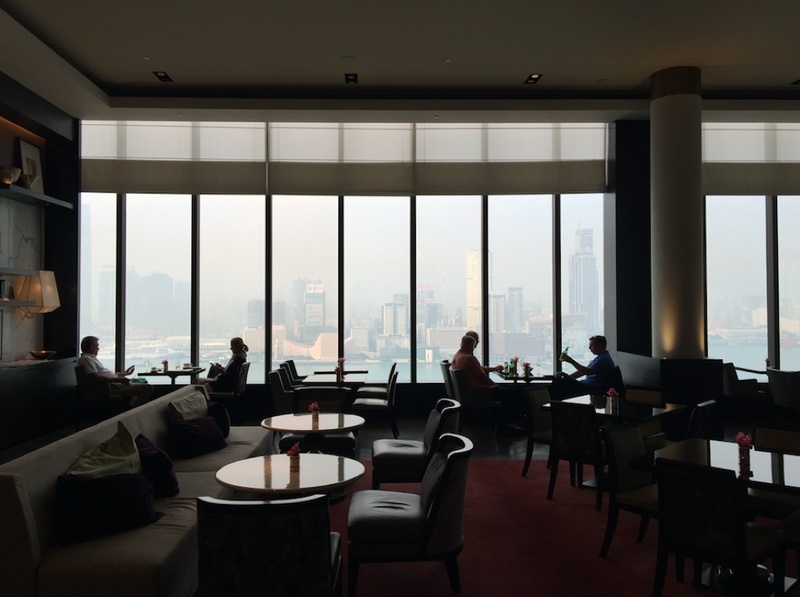 In my series of articles reviewing the best club lounges in Hong Kong’s luxury hotels I review the Grand Hyatt executive club lounge. 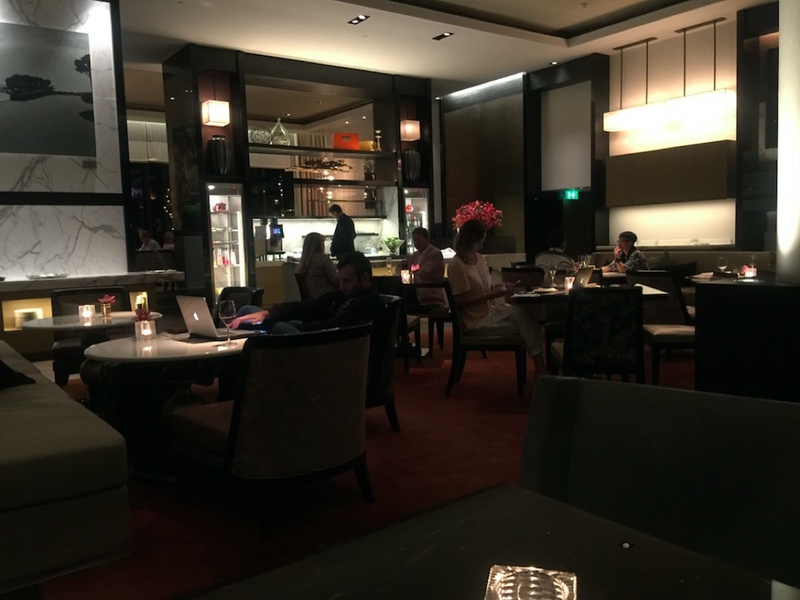 You can also read my full review of the Grand Hyatt Hong Kong where I stayed early 2017. 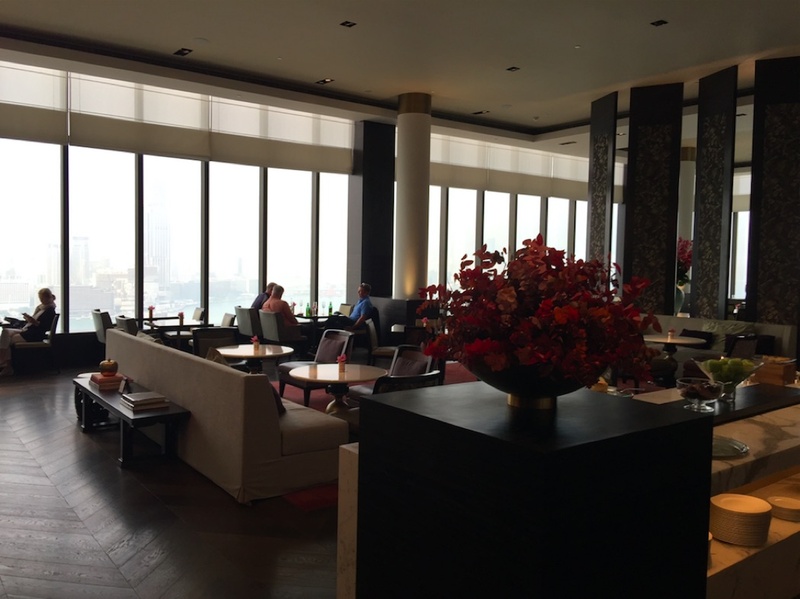 The new Grand Club Lounge at the Hyatt in Hong Kong is a majestic living space overlooking Hong Kong harbour on the 30th and 31st floor of the hotel, created exclusively for suite and club floor guests along with Hyatt diamond members . This two storey palace, on the top floor of the hotel, offers complimentary drinks, cocktails, champagne, food and refreshments, a complimentary breakfast buffet from 7 until 10.30am, and a wonderful finger food buffet between 5.30 and 7.30 in the evening, again with real champagne, cocktails beers and spirits. This lounge can get quite busy so it is worth arriving early in the evening (5 rather than 5.30) to bag a table by the window. The evening buffet offers a vast array of amuse-bouches and a separate table of hot entrées which were mainly fried and included dumplings and spring rolls. Breakfast at the lounge was made up of a buffet of pastries (muffins, croissants etc), fruits, and hot options on heated plates. 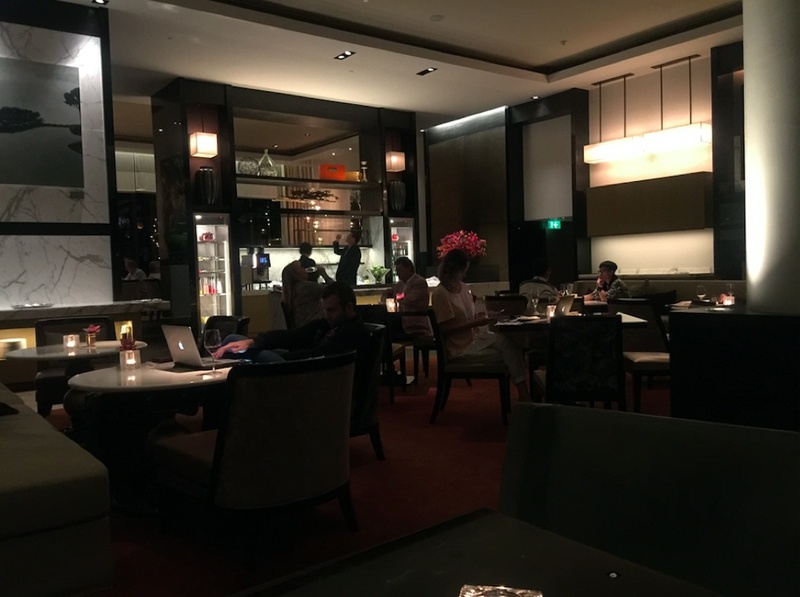 Overall the food was enough to fill you up but not desperately inspiring (for top notch Club Lounge food in Hong Kong you must try the Four Seasons Executive Club Lounge). As beautiful and impressive as the room is (and it is), the view is the star. Huge double height windows from floor to ceiling reveal the Hong Kong skyline in all of its glory. The Grand Hyatt is a luxury 5 star hotel situated in the Wan Chai district right on the prestigious waterfront of Victoria harbour. It is just five minutes from Central, and across the water you can see the neon lights and bustle of Kowloon. I have also reviewed the best hotel club lounges in London and the best hotel club floors and VIP lounges in Las Vegas.